VIORA is a market-leading manufacturer and technology provider of advanced radiofrequency, light-based systems and Diamond Tip microdermabrasion for the global aesthetic and medical markets. 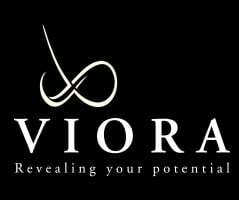 Viora offers a wide range of applications including body contouring, cellulite reduction, as well as phototherapy (Intense Pulsed Light) and anti-aging treatments, enabling dermatologists, plastic surgeons, and other medical aesthetic professionals to treat a large variety of dermatological conditions such as wrinkles, age spots, pigmentation, acne, hair removal, vascular lesions, active acne, cellulite, hyper pigmentation, sun damages, and more. The Reaction™ is the first and only FDA cleared bipolar RF device with multi frequency and vacuum therapy for body contouring, offering the medical professional an unheard-of level of control and precision to target specific skin depths, a combination that delivers immediate visible results. The Trios™ is an advanced phototherapy system (non-laser). Trios™ meets patients’ demand, offering long- term hair removal, skin rejuvenation and acne clearance treatments. The award-winning Pristine™ microdermabrasion procedure offers patients a non-invasive and exfoliation treatment.